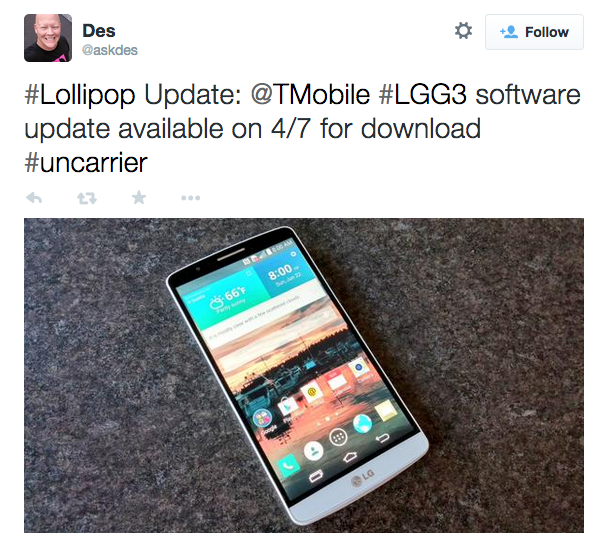 According to T-Mobile’s product guru Des Smith, the G3 from LG is set to receive an OTA update to Lollipop on April 7. With this rollout, most carrier variant G3 owners will be running Lollipop, including those on AT&T and Sprint. 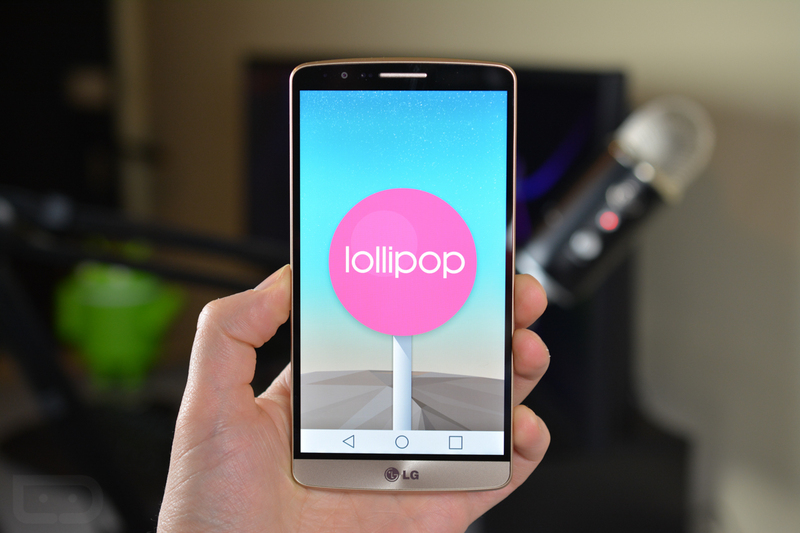 We ran through what Lollipop offers G3 owners in a hands-on video, and if you ask us, it is a pretty good update. However, do note that through LG’s PC updating tool, an update to 5.0.1 is already doable. The OTA update is likely the same update, but allows you to skip setting up LG’s desktop client. Ready for some Lollipop, G3 owners on T-M0?